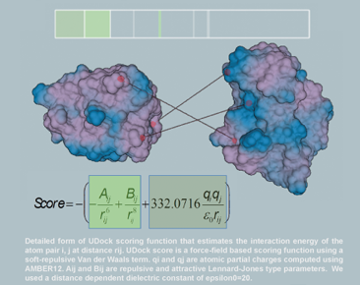 Udock is a free interactive protein docking system, intended for both naive and experienced users. Protein–protein interactions play a crucial role in biological processes. Protein docking calculations' goal is to predict, given two proteins of known structures, the associate conformation of the corresponding complex. Udock makes use of users' cognitive capabilities added up. 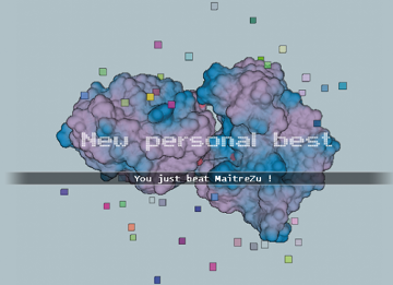 In Udock, the users tackle simplified representations of protein structures and explore protein–protein interfaces’ conformational space using a gamified interactive docking system with on the fly scoring. The alpha version of Udock is freely accessible at http://udock.fr UDock is a free windows standalone software. Your scores are uploaded online, so to download or run UDock, you need to create a free account. If you already have an account, you can login to download udock. Levieux, G.; Tiger, G.; Mader, Montes, M.